Just when you think you couldn't possibly love Jennifer Garner any more, she goes and gives one of the most refreshingly honest interviews a Hollywood celebrity has ever given. In the new issue of In Style, Garner opened up about her marriage to Ben Affleck, and despite the couple being two of the more famous, attractive, wealthy people in the world, their relationship is, well, "just like us." Instead of regaling everyone with stories of how she and her husband manage to keep things hot and heavy via sweeping everything off the table and ripping their clothes off every night (despite having three young kids), Garner confessed to being in a "mindful" place with her spouse. "You can't expect to be courted all the time, and I don't want to court him right now – I don't have the energy!" the actress said. "But we're definitely in a very mindful place where we're making an effort to be together, do things at the same time, and be loving." She also revealed that their home life with the kids is pretty much just like every other couple's. "I know who wants what lunch, and I've done all the school paperwork and filled out the emergency cards. Ben doesn't know that stuff exists." This isn't the first time the Affleck-Garners have been completely honest about their "real" relationship. 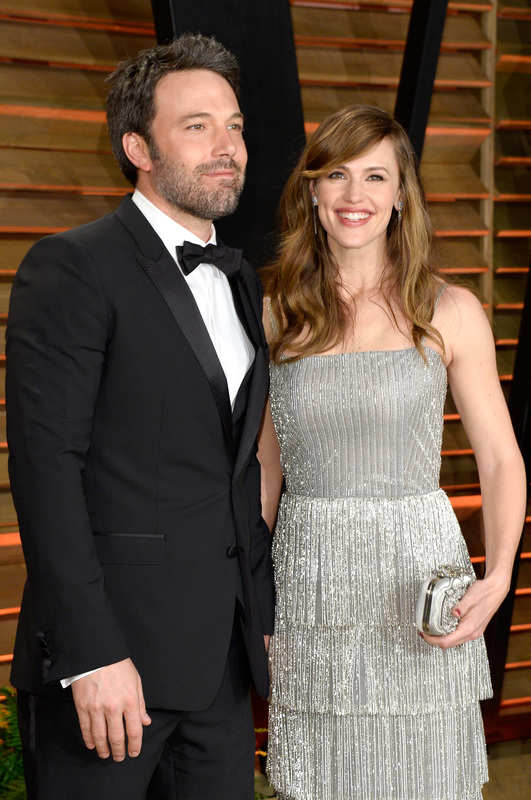 During his Argo acceptance speech, Affleck thanked his wife and mentioned how their relationship was "work." It was incredibly sweet and as honest as it gets. So often, we're bombarded with images and impressions of celebrities whose lives seem the epitome of perfection — amazing marriage, fantastic career, etc. — so it's nice to hear about two people in a relationship who keep it real. Relationships are work, regardless of who you are. We may think that Brad Pitt and Angelina Jolie ravage each other every night, but, more likely than not, they get into their ruts, too. Way to be honest, Ben and Jen.